In this series of articles celebrating the upcoming 30th Anniversary of Super Mario, various members of the Nintendo Life extended family will share their memories and thoughts on the iconic franchise. This time we have our dashing reviewer Steve Bowling. Back in June of 1996, there was only one thing 14-year-old me cared about: Super Mario 64. I had spent all the year prior saving every last penny I could to import a Nintendo 64, Super Mario 64 and Pilotwings 64. When the console finally arrived on my doorstep, I got to hooking everything up and sitting down to enjoy the fruits of a year's worth of mowing lawns and walking dogs. I had enjoyed Mario games before, but Super Mario 64 was the first one I loved. The first time I dropped onto Bob-omb Battlefield, I was floored. Jumping into paintings and exploring Super Mario 64's version of the Mushroom Kingdom feels as magical today as it did 19 (gasp!) years ago. Over the next few weeks I spent every waking moment exploring Mario's new 3D digs. I marvelled at the sunken wreckage in Jolly Roger Bay. I trepidatiously ran circles around Mr. I in Big Boo's Haunt and explored the inside of the volcano in Lethal Lava Land. One fateful morning, at around 2:30, I collected my hundredth coin in Tick Tock Clock and there it was, my 120th star. At this point, despite being one of the few kids in the West that had a Nintendo 64, I knew what to expect. 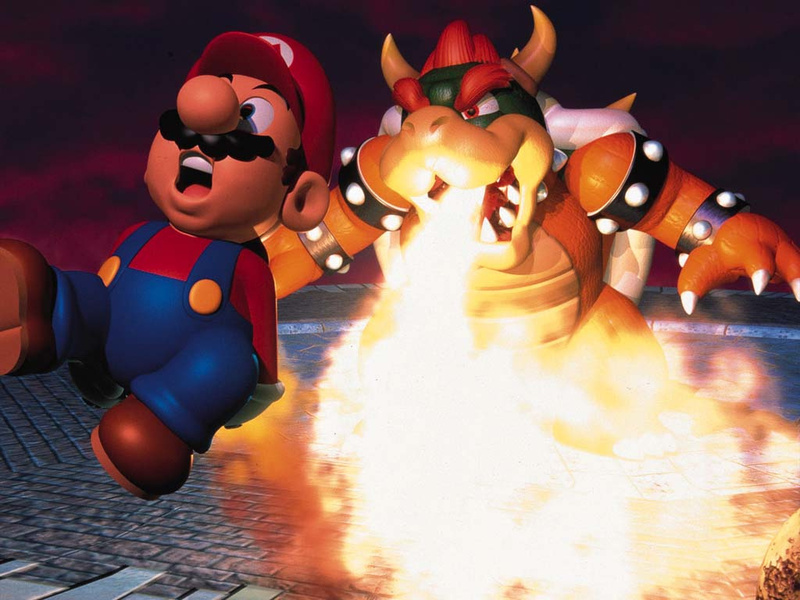 Spending every moment I couldn't be on my N64 browsing Super Mario 64-related articles on an AOL dial-up connection ensured there was no way I could remain spoiler-free. I wanted to cheer and shout, but settled on silently throwing my hands up in the air, as I was sure I would have met with a number of unwanted questions had my parents discovered how late I was up. I excitedly collected my final star and ran outside to find the cannon. I met Yoshi and got my new flip, along with all those lives. My next stop was Bowser, by this point I had become a Mario 64 pro. I ran, long-jumped and flipped my way through Bowser in the Sky without ever breaking my stride. When I confronted The Koopa King for our final battle I dispatched him with ease, as I had done so many times before. I couldn't read Japanese at the time, but after having seen Bowser's final dialogue so many times I could tell he had told me something different. I was overjoyed that I had gotten Super Mario 64's "true" ending, even if I didn't understand it. Super Mario 64 showed me just how special Nintendo's iconic plumber was. I spent the rest of that Summer playing through Mario's old adventures with a newfound appreciation. I breezed through Super Mario Bros., took my time finding all the warps in Super Mario Bros. 2, and obsessed over the Hammer Bros. suit in Super Mario Bros. 3. I had to go out and rent Super Mario World, the only title I didn't own at the time. I got all the way through it just in time for the new school year to start, and I cursed myself for not having enjoyed them properly when I first played them. Super Mario 64 had opened my eyes to just how amazing the series was as a whole. Since then, I haven't missed a single Mario game. Mario games will always have a special place in my heart as a gamer and Nintendo fan, but Super Mario 64 will always be chief among them. Though I played this game first when it was re-released on the DS I can still see exactly why it is held in such high regard from so many people as it is a tie for 64 or World as my favorite Mario game to date. We really need another entry in the vein of this game! Hub worlds have always been my favorite parts of platformers and this game has one of the best. 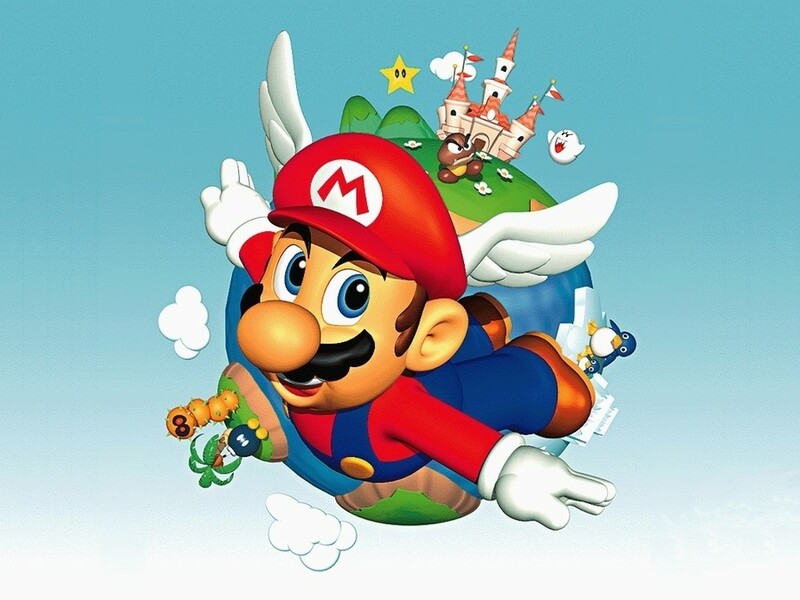 The only star nowadays that can still throw me for a loop, is Mario Wings Over the Rainbow. But overall, getting all 120 isn't too difficult for me. It's amazing how short the game can feel when you know where everything is. Sadly Mario 64 and all early 3D games have not aged well. I hated collecting those 100 coin stars. They were always frustrating. Exploring the inside of Peach's castle was an amazing experience when I first booted the system up. I loved just running around and wall jumping around everywhere. Truly an amazing experience. @Mr_Zurkon I'd wager they have aged smashing! I mean they still look good to me. I remember being able to rent a 64 from a local rental shop, which is what I did with this game with it. I played it all summer long, getting my own N64 shortly afterward and playing this with some other game I can't remember...because this is all that mattered to me mainly. oh the memories. @Mr_Zurkon The only fault I can find with SM64 in 2015 is the frame rate. Everything else has aged very well. I hope you're joking, Super Mario 64 can be picked up and played to the end of time. Not enough good things can or will ever be said about Super Mario 64. This was the game of my generation, and I recognize the generation that is mine with this game. The generation of realism. The 3D rendering that brought life and intensity, the sense of space - the grandeur. The grand Mario game. It was fresh, cutting edge, sophisticated, all these things for its time. No Mario game will ever be considered a Mario game without building on this iteration, without building upon the 64 generation. Ignoring the building blocks of the 64 generation will result in failure. Hence the not as good Sunshine, Galaxy, and 3D World games. Each one lacking in scope, in immaculacy and austerity of space. @Hero-of-WiiU I don't mean it's "un-playable". The camera was revolutionary at the time but today I find it somewhat problematic as compared to how modern camera setups are. It's still a fine game but not without things that aren't perfect. @jord I don't know. I can agree with Sunshine, but the two Galaxy games paved the way for 3D World, which captured the feeling of 2D Mario while having the benefits of the 3D space.